Bixolon SRP-350III - Direct thermal, Receipt Printer, monochrome, Auto-cutter, USB interfaces. Color: Black.Power supply and USB cable included. 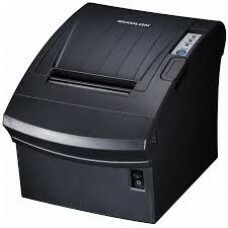 Bixolon SRP-350III - Direct thermal Receipt Printer, monochrome, Auto-cutter, USB interfaces. Color: Black.Power supply and USB cable included.